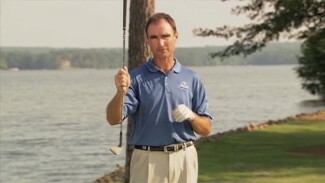 PGA Tour Professional Eric Hogge teaches you the five faces for working shots. It is important when you don’t have the longest ball that you be able to manipulate the golf ball the way you want to. The five faces are square or neutral (normal), hooded or delofted, laid-back or loft-adding, closed and open. Eric discusses the five faces and gives you a few examples of various shots for which you would adjust the face of your club. Uphill, downhill and sidehill lies in a bunker can be some of the most challenging shots in golf. Brandle Chamblee along with PGA Instructors Joe Plecker, Jr. and Matt Kluck will demontrate how to navigate them. If you find yourself with one of these lies, there are several factors you need to consider in order to achieve success with some consistency. First, Brandel shows you what to do, and what not to do, if faced with an uphill lie. Next, Joe explains a series of specific set-up fundamentals you should follow when hitting from a downhill lie. Finally, Matt stresses the importance of spreading your feet out when faced with a shot where the ball is below your feet. Incorporate these simple tips and find more success with those challenging lies in the sand. 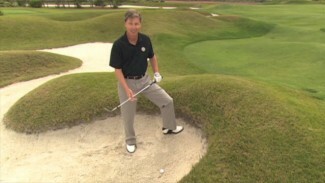 In this video, you will learn some simple bunker play basics that you can follow for success. Hitting out of the sand is a different shot in golf and one that requires a specific set-up and swing change. 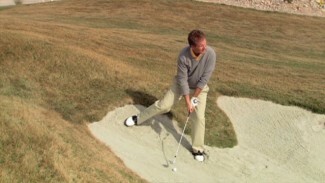 PGA Instructor Joe Plecker Jr. shows you what you need to know to improve your bunker play; including proper ball position, stance and swing adjustments. Following these simple modifications will lead to more success and better scores.